Marchia Posey Service Details - East Liverpool, Ohio | Dawson Funeral Home, Inc.
"Marchia and I been friends since first grade.it doesn't seen possible she pass. I'm so sorry for your loss.rest in peace my old friend...."
"A Beautiful Angel joins her heavenly loved ones around the Throne. Marchia will be sadly missed here on Earth ❤"
EAST LIVERPOOL – Marchia A. Posey, of East Liverpool, passed away Tuesday, October 2, 2018 at St. Elizabeth Hospital. She was 62. Born in East Liverpool, September 23, 1956, she was a daughter of the late Richard and Janet Harris Barnes. 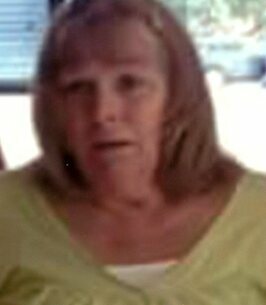 A member of the East Liverpool High School Class of 1974, she was a homemaker. Her husband, George F. Posey, Jr., survives at home. There are two children: Amanda Posey and Lorie Posey Coleman, both of East Liverpool, and two grandsons: Austin and Landon Vranesevich. She is also survived by three sisters: Shelia Ours (Bub) of Pennsylvania, Cheryl Mofield (David) of North Carolina, and Sandy Barnes of East Liverpool; as well as four brothers: Doug Barnes of East Liverpool, Randy Barnes of North Carolina, Cary Barnes of East Liverpool, and Larry Barnes of East Liverpool. In addition to her parents, Marchia was preceded in death by two brothers, Phil and Steve Barnes. Friends may visit Monday afternoon and evening at the Dawson Funeral Home where the family will be present from 2 to 4 and 6 to 8 p.m. Evangelist Will Montgomery will conduct a funeral service Tuesday at 11:00 a.m. at the funeral home. View Marchia’s memorial webpage and express condolences online at www.dawsonfuneralhome.com. 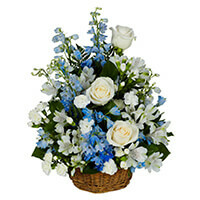 To send flowers to the family of Marchia A. Posey (Barnes), please visit our Heartfelt Sympathies Store. We encourage you to share any memorable photos or stories about Marchia. All tributes placed on and purchased through this memorial website will remain on in perpetuity for future generations. May the Lord ease your pain during this difficult time. We are so sorry for your loss.